I am kindly asking you: say a prayer for Ukraine before God’s face at 9pm sharp. Pray for young man who are being captured. Pray for those who have already been forgotten and who have fallen into the hands of the enemy on the Black Sea. 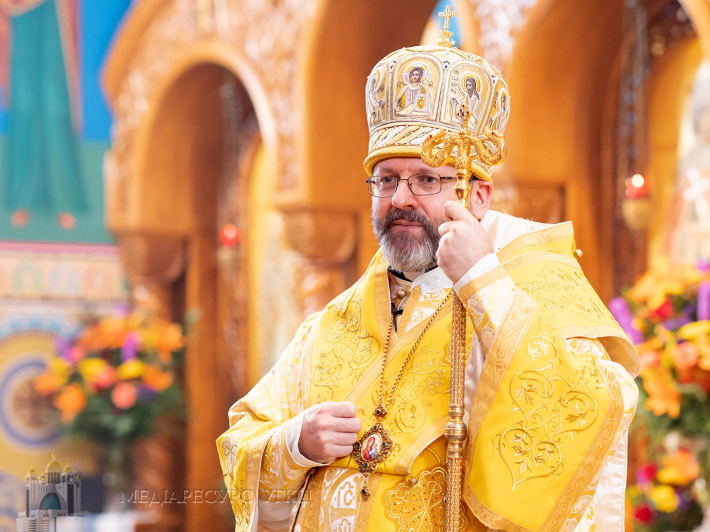 Head and Father of UGCC His Beatitude Sviatoslav sent his message on Sunday, December 2, 2018 while sanctifying the church of the Blessed Virgin Mary at Basilian monks’ monastery in Briukhovychi, Lviv. “I am asking you wholeheartedly: recall when your eparchy has a day of a strict fasting and spend this day on bread and water solely, so to feel sympathy for those who have nothing to eat, who are being humiliated and beaten”, His Beatitude Sviatoslav called clergy, laity and people of a good will. The Major Archbishop reminded that on December 1 was finished a regular Synod of Bishops of UGCC with its conclusion of adopting A Call to all faithful for a special and intensive prayer for our Motherland. A document states that before Christmas fast Ukraine was hit by one more severe test – a visible manifestation of aggression On Russia’s part, which dragged to Ukrainian boarders huge military forces, both on the sea and land by attacking our cargos, wounded and captivated dozens of Ukrainian navy militaries. World community condemned such kind of military aggression, whereas Ukrainian government introduced Martial law in more than half regions of Ukraine. Sharing all threats and sufferings and challenges of Ukrainians, also caring for their safety and well-being - Ukrainian Greek Catholic Church reminds of intensive prayer for defending people from foreigner’s aggression and restoring peace in our country. Bishops of UGCC simultaneously call all citizens of Ukraine to accept some household inconveniences, stay cool before anxious conditions, particularly among those who wish to cultivate panic and sense of despair.